The peace of a spring morning on the Cotswold Line is shattered, as 70806 passes Daylesford on 28 May 2016 with the 6C23 04:46 Westbury to Standish Junction engineer's train. This had been delayed by the preceding late running HST, and was running 20 minutes late. It could clearly be heard from several miles away, and appeared to be working hard, despite the lack of a load! 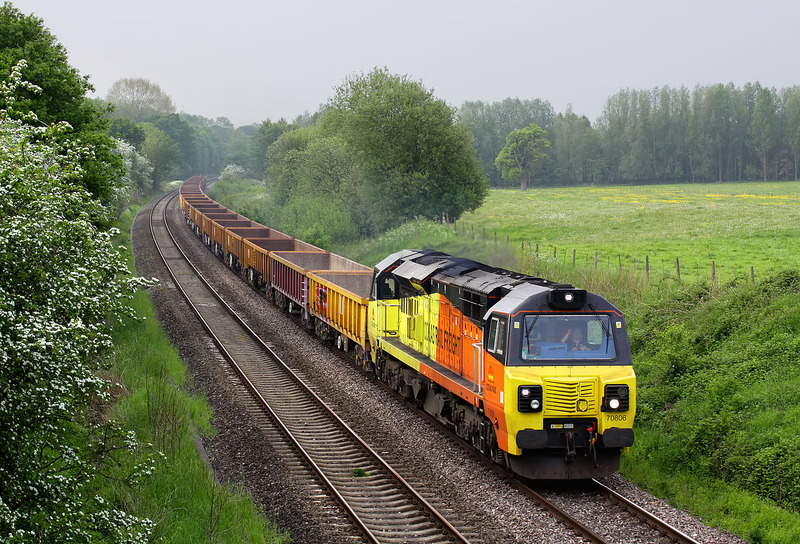 There was major engineering works over the Bank Holiday weekend near Standish Junction, and this was one of six departmental working to traverse the Cotswold Line on this morning.